It was such a wonderful evening. 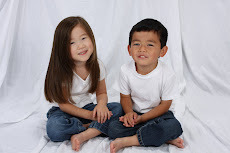 Celebrating our two youngest children's culture has deeply enriched our lives. Thank you for sharing these, it made me homesick! I really miss our FCC family. Looks like great fun. We get together frequently with our travel group from the Chicago area. They are part of our family now. what fun and what a good sport he is. Thank you for sharing the pics. It made me feel as if I could enjoy the festivities myself. Looks like everyone had a wonderful time.